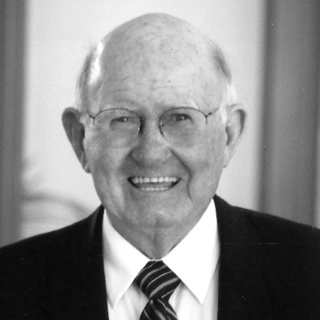 RAWLINGS, Robert Eaves "Bob" - Age 94 of Nashville, died February 2, 2013. Born September 30, 1918, in Chattanooga, TN, son of Susie Adair and Clarence Eaves Rawlings. In addition to his parents, he was preceded in death by his wife of 65 years, Marie Poole Rawlings, brothers; Jim Rawlings, Richard Rawlings, and Adair Rawlings, sisters; Grace Stephens and Alice Kirk, great grandson; James Walter Rick. He is survived by his two children; Robert Don Rawlings Mary of Durant, OK, and Susie Rawlings Batchelor Dale of Nashville. Six grandchildren; Robert Mark Rawlings Markita of Durant, OK, Richard William Rawlings of Kingwood, TX, Angela Rawlings Gregory Matt of Durant, OK, Laura Batchelor Bailey Michael of Morganton, NC, Melissa Batchelor Rick Wade of Nashville, and Jonathan Edwin Batchelor of Nashville. Fifteen great-grandchildren; Pete Rawlings Zoe of McKinney, TX, Shaun Rawlings Ami of Nashville, Brittni Joines Roby of Atoka, OK, Chad Rawlings of Akron, Ohio, Erin Boehme of Durant, OK, Tyler and Tanner Rawlings of Kingwood, TX, Kaitlyn, Paige, and Abi Gregory of Durant, OK, Hudson, Charlie, and Katherine Bailey of Morganton, NC, Margaret and Wells Rick of Nashville. Four great-great-grandchildren; Reese, Samuel, and Avery Rawlings of McKinney, TX, Hazel Rawlings of Nashville. Bob served with honor in the U.S. Army and was wounded in Europe during World War II, earning the Purple Heart. He worked for Trimble Auto Company in Chattanooga for 30 years before retiring. In 1993, Bob and Marie moved to Nashville to be closer to family. Although a talented and avid golfer, Bob spent so much of his time helping others. He was always more than willing to help friends and strangers alike. Bob was completely devoted to family, especially his beloved Marie, children, and grandchildren. He was a member of Westminster Presbyterian Church and The Good Sams Sunday School Class. He was known for his funny personal stories and jokes and was often asked to share with his dear friends in the Good Sams Class. Bob's kind spirit, generous heart, and infectious smile will be remembered by all. He will forever be missed by those who love him. A memorial service will be held on Friday, February 8, 2013, at 11 a.m. at Westminster Presbyterian Church, 3900 West End Avenue, Nashville. Visitation will be held one hour prior to the memorial service. In lieu of flowers, the family requests that memorials be made to Westminster Presbyterian Church Habitat for Humanity Fund or the charity of your choice. Wonderful thoughtful person, who will be missed so much.